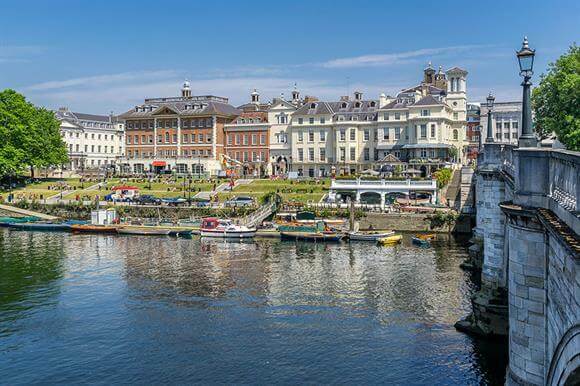 Richmond is part of the Royal borough of Richmond with a population of 21,500. It is an affluent sub town of South West London 8.2 miles South West of Charing Cross. Richmond meanders on the river Thames and has very large open spaces including Richmond park. The scenic view of the river Thames from Richmond is protected. Richmond was founded following Henry VII’s building of Richmond Palace in the 16th century, from which the town derives its name. Touchstone lofts have invested in creating a Loft Showhouse which you can visit from Richmond. You can view your loft conversion at this showroom. Here you can see four different loft conversions, stairs, “Velux” windows, Dormers, four bath/shower/wet rooms. You can view the dormers internally and externally, you can see the extra headroom a dormer can add to your loft conversion in Richmond.